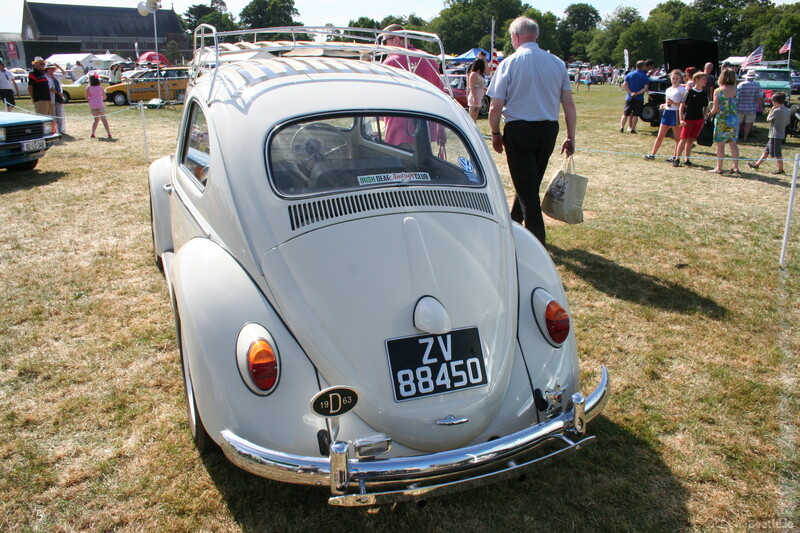 This 1963 Beetle was photographed at the 2018 Irish Classic Car and Vintage Motor Show in Terenure, Dublin. 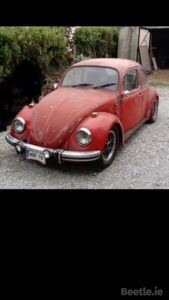 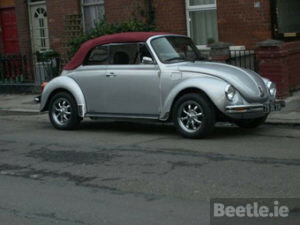 It was imported from New Zealand and looks like a Beetle that lived in a rust free part of the island. 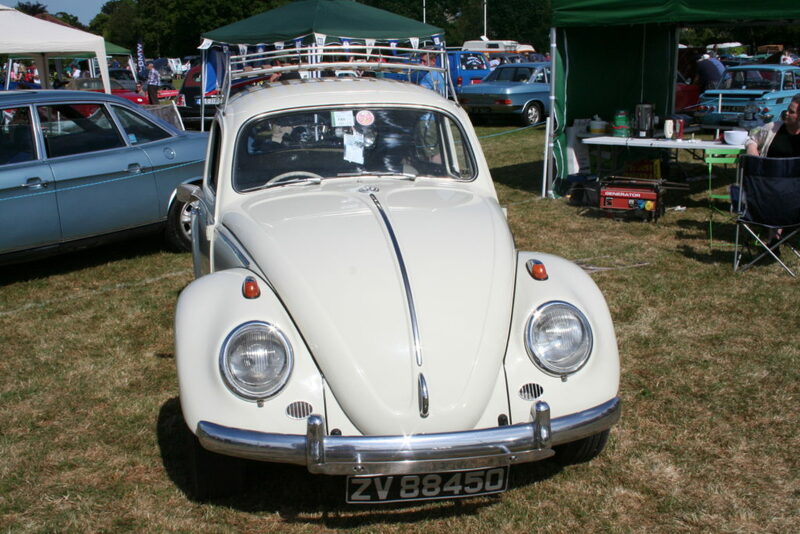 It has been painted in what I assume is the original Pearl White (L87) and has had some nice accessories added as well like the bud vase, roof rack, D badge with year, bumper bar and reverse light. 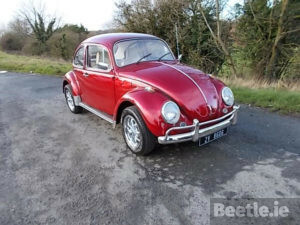 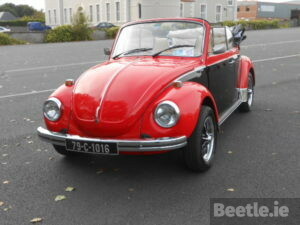 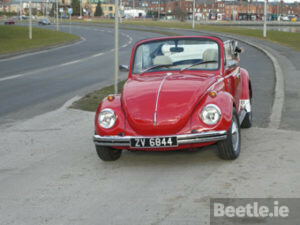 The most striking addition are the banded rims which give this Beetle a vintage racer look. 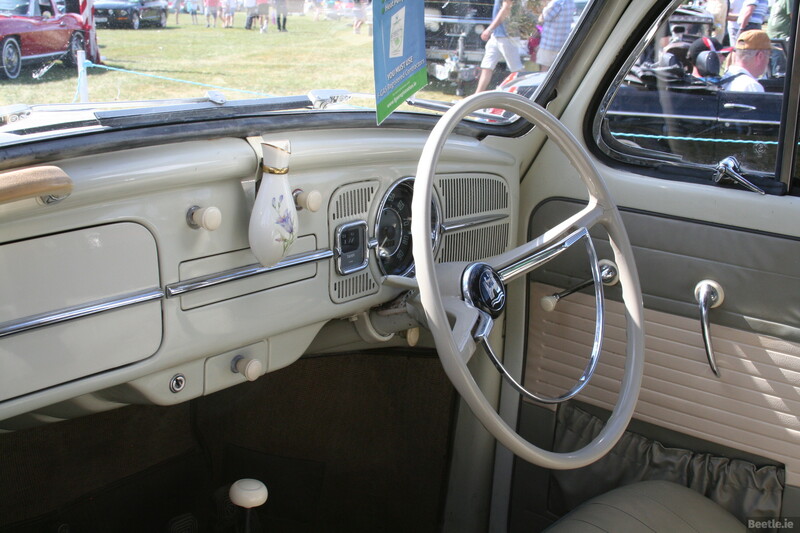 The interior looks to be the original and is holding up really well. 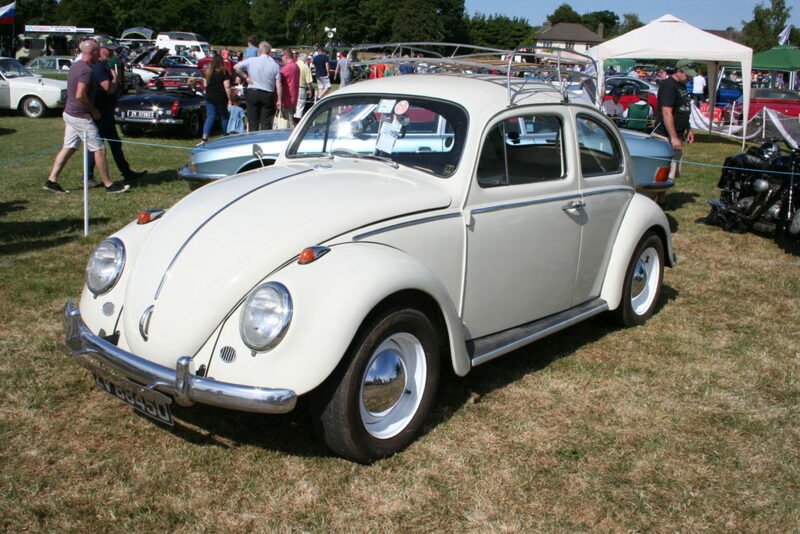 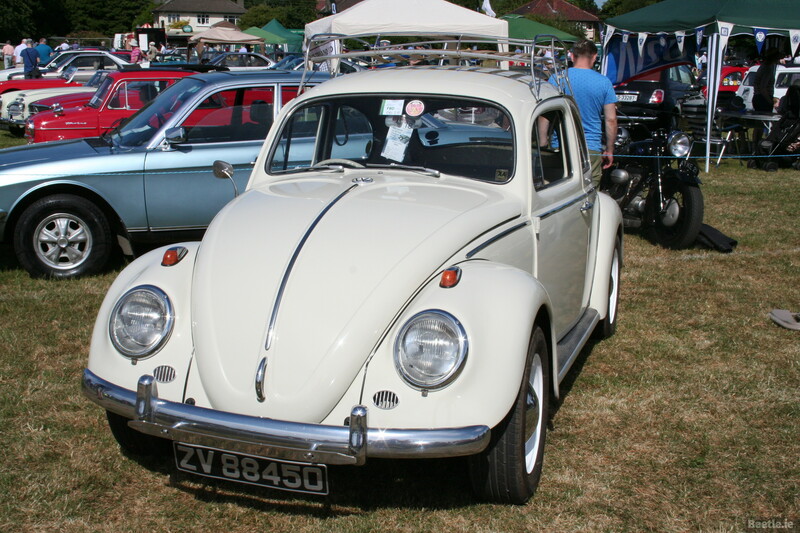 This ’63 was attracting a lot of attention over the course of the day and brought a lot of people to their club stand which is the Irish Deaf Vintage Club. 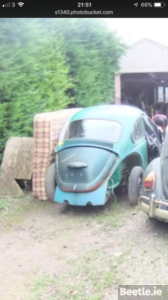 Well done to the owner.